El galardonado arquitecto Piers Taylor y la actriz Caroline Quentin, una enamorada de los inmuebles, recorren el mundo en busca de casas originales. 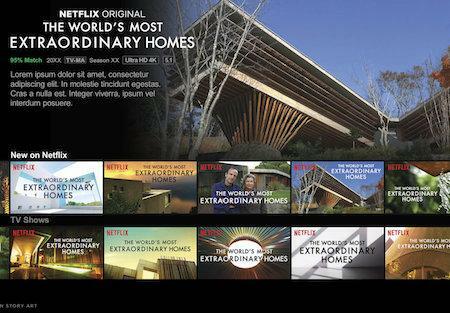 The documentary miniseries follows 'award-winning architect Piers Taylor and actress and property enthusiast Caroline Quentin explore a range of incredible architect-designed houses in extreme locations around the world. Whether built into the side of a cliff, nestled in a forest, perched at the top of a mountain or hidden under the earth, these homes connect to their environments in a spectacular way. Each episode is themed according to the houses environments — Coast, Forest, Mountain and Underground — with Piers and Caroline traveling to locations ranging from North America to Australasia and Europe. To explore how these dramatic designs function both as works of architecture and as real houses, they stay overnight, eat meals and spend time in the homes.